Take on the elements. Take on any time of day. With a water repellent fabric treatment working against wet, this men's running Hero Jacket steps up to the plate in less than ideal conditions. 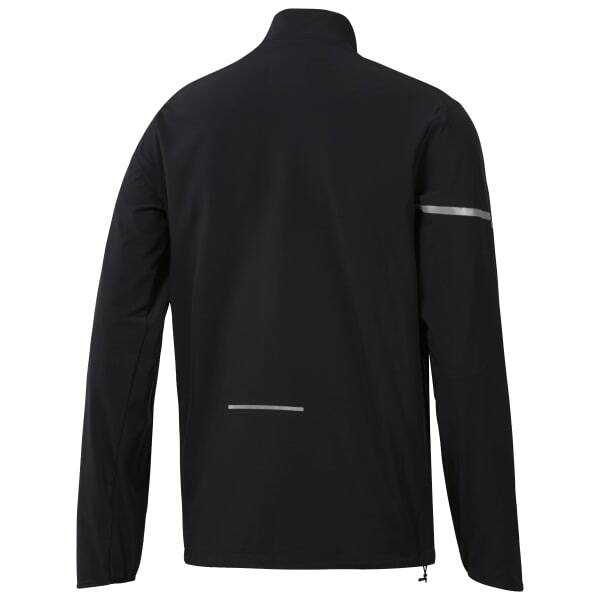 Reflective detailing helps keep you visible during early morning and dusk runs. Zipped hand pockets lock down your stuff.